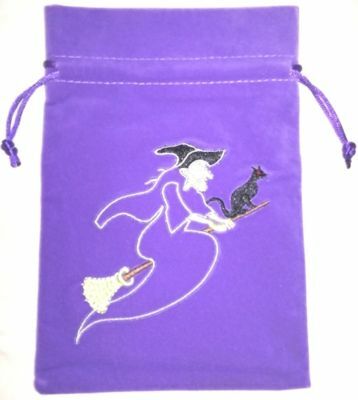 Attractive, convenient, and useful, this Witch & Cat on a Broomstick tarot bag is the perfect way to safely store and protect your valuable tarot / oracle card decks. Velvet tarot bag with embroidered witch design and drawstring closure. All embroidery is metallic thread.